The 2016 "Gamut" adds 2 trails: Royalty and First Deck! 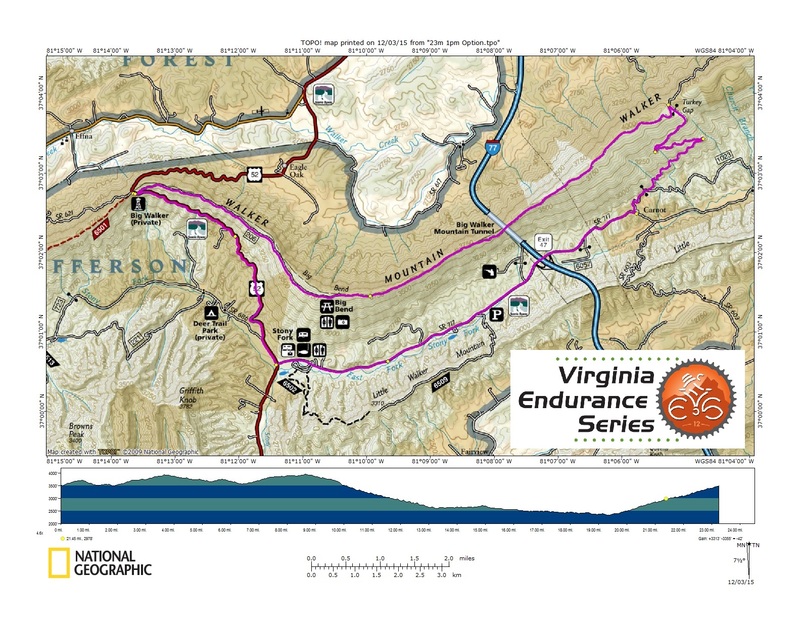 The 2016 route will be the same as 2015 *except* that on Stage 2 after climbing Buck riders turn left and then after rolling a little ways down Brushy Mt turn right down Royalty (instead of going back along the ridge and descending the Gauntlet a 2nd time) and then bear left onto First Deck. Then left onto Horsepen to Lakeside. These fantastic trail additions make the already amazing Gamut v2015 route even better! Enjoy! 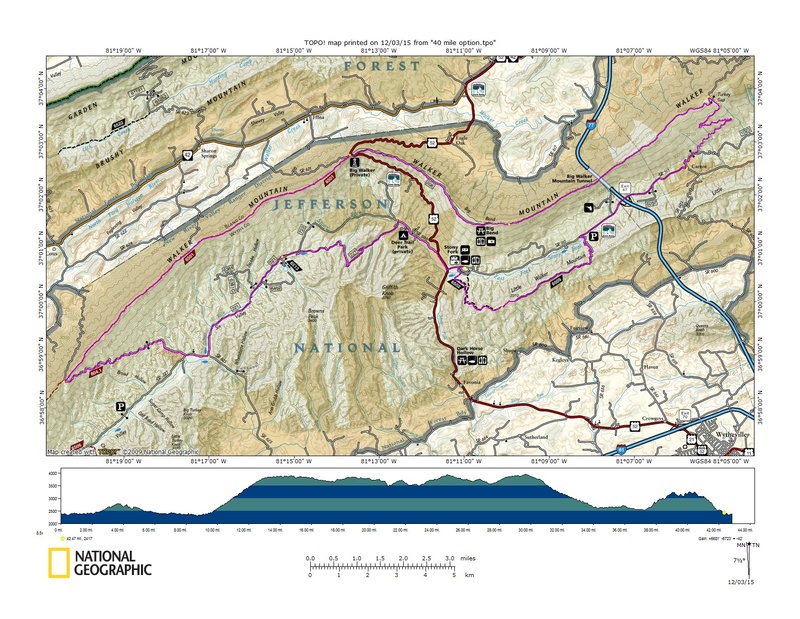 Roanoke is the "2013 Best Trail Town" http://www.blueridgeoutdoors.com/hiking/best-trail-town-2013-roanoke-virginia/ for one reason ... the singletrack at Carvin's Cove. With the sweet trail offerings continuing to expand, riding "The Gamut" at Carvins Cove (every trail in the extensive singletrack system in a single day) has become quite a challenge: 43+ miles with LOTS of climbing. The absolutely incredible trails, and the corresponding high most mountain bikers experience while riding them, keeps the accomplishment of riding "The Gamut" seemingly within reach (though very few have people have actually done it). 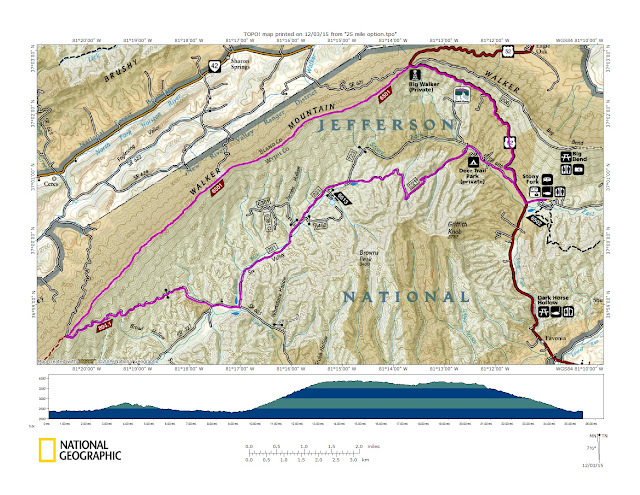 The Gamut consists of 2 stages (see above map). Both stages start and end at the Bennett Springs parking area, which is perfect for refueling and restocking mid-point in the Gamut attempt. Both stages contain numerous bail out options too. On Sunday July 10th we will meet at the Bennett Springs Parking Area http://goo.gl/maps/6KASO for the 9am start of VES #8 an attempt at riding "The Gamut". 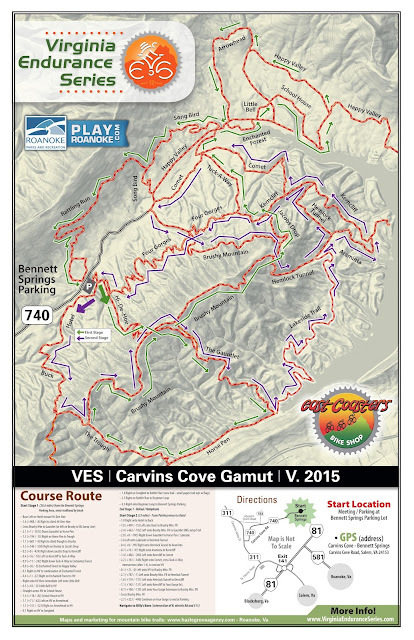 Gamut v2014 adds the BRG Gauntlet Jump Line, Lakeside Trail, lower Hemlock Tunnel and the section of Kerncliff between Comet and Jacob's Drop. 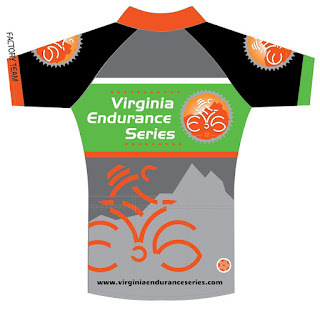 The Virginia Endurance Series is a "FREE Endurance/Adventure Mountain Biking, Any-Road Cycling & Trail Running Event Series". Some aspects of what we offer do cost money, and the ride organizers generally just pay for those costs themselves. Occasionally a few dollars are donated, that's awesome and that helps, but asking for donations isn't fun, and fun is what VES is all about. So, we've created this simple donate button, so anyone can easily make a donation, at their convenience, and help with VES expenses. Thank you! 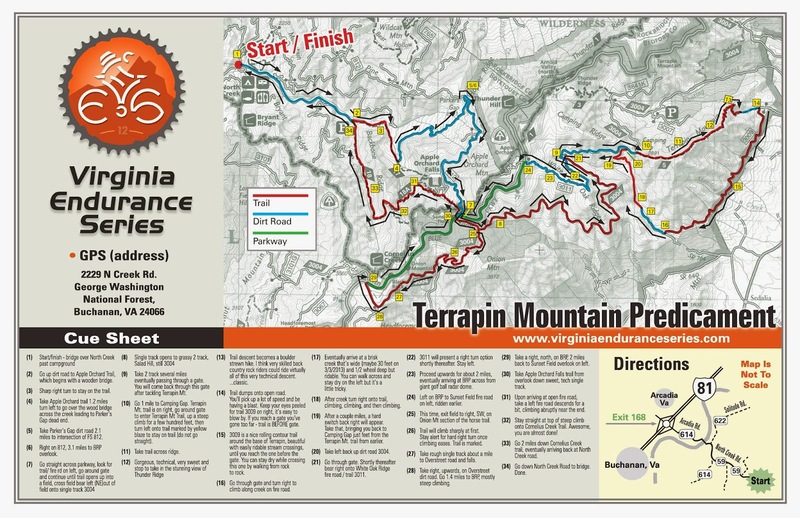 4.17.16 Terrapin Mountain Predicament | FREE Mountain Biking & Trail Running VES Event! At 9am on Sunday April 17th mountain bike adventurers will embark on the 4th annual attempt of the Terrapin Mountain Predicament and 2016 will be the first year Trail Runners will attempt this epic too! 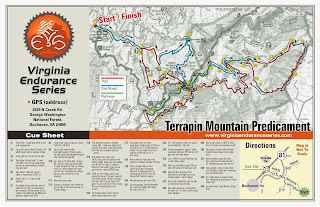 The AT parallels the BRP in this region so on the short sections where cyclists are enjoying the BRP runners use the AT! Distance options are 17, 36, 41 (full route) and there's even an 63 mile ultra-mega option (that no one has ever completed). There are *loads* of ways to shorten this ride (3 shorter options are illustrated below) so come and enjoy as much adventure mountain biking goodness as you're up for! This is THE map!! CLICK HERE for a printable PDF. 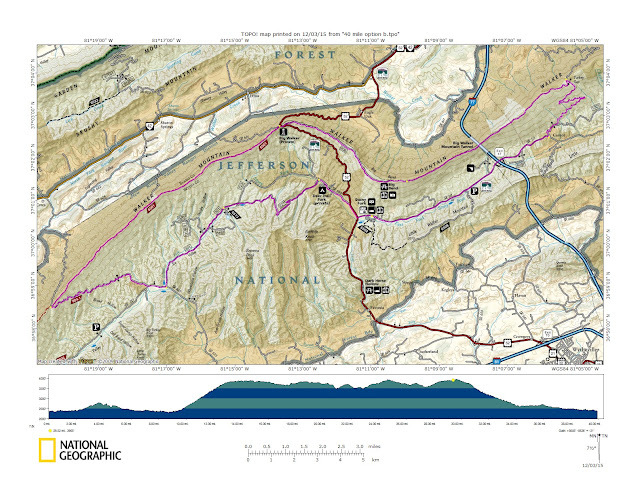 New is a 100+km ULTRA route 62.9 miles, +13,167 feet. 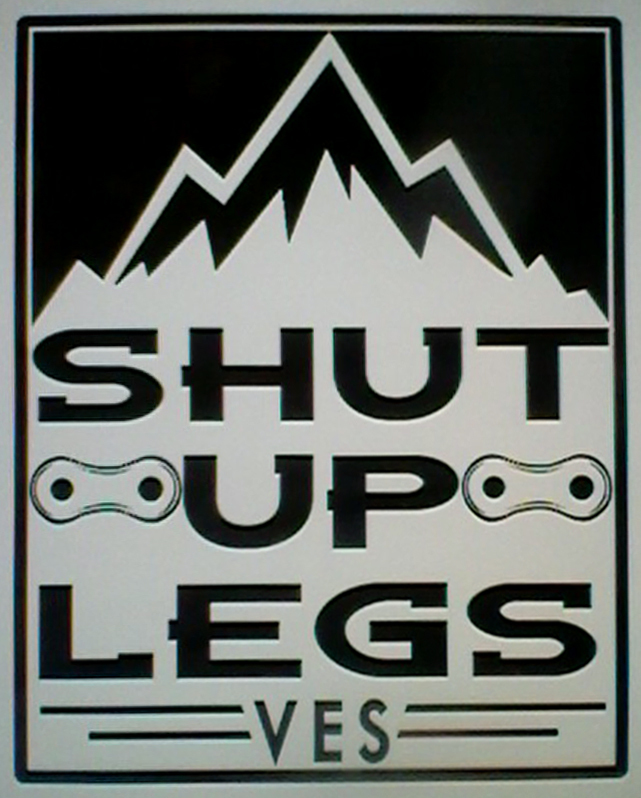 This option has never been completed and is only possible for the most fit, experienced and skilled back country mountain bikers. ULTRA Route: Part 1 | Part 2 | Part 3. 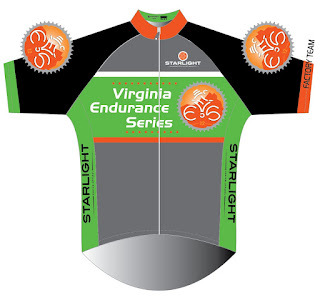 Like all Virginia Endurance Series events, this is FREE! Be well fueled, super hydrated and ready to roll at 9am. Estimated ride time 6.5+ hours. Note: If you plan to do the full epic (to the summit of Terrapin and looping back) one stream crossing is may get your feet wet, so consider bringing an extra pair of socks. The National Geographic Trails Illustrated Map #789 (Lexington / Blue Ridge Mts) shows most of the Predicaments trails. A scanned copy, with the course marked in as best as I could, is below the TripTik. Go up dirt road to apple orchard trail, which begins with a wooden bridge. Sharp Right turn to stay on the trail. Take Apple Orchard trail 1.2 miles turn left to go over the wood bridge across the creek leading to Parker's Gap dead end. Take Parker's Gap dirt road 2.1 miles to intersection of FS 812. 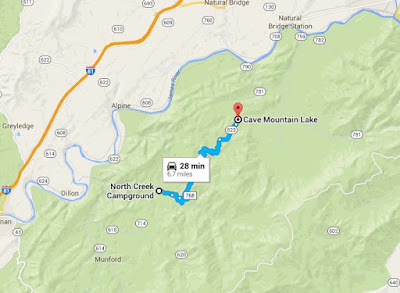 Right on 812 3.1 miles to BRP overlook. Take 2 track several miles eventually passing through a gate. You will come back through this gate after tackling Terrapin Mt. go around gate to enter Terrapin Mt Trail, up a steeep climb for a few hundred feet, then turn left onto trail marked by yellow blaze to stay on trail (do not go straight). Gorgeous, technical, very sweet and stop to take in the stunning view off of the left side of the ridge from the rocks near the summit. Trail descent becomes a boulder strewn hike. 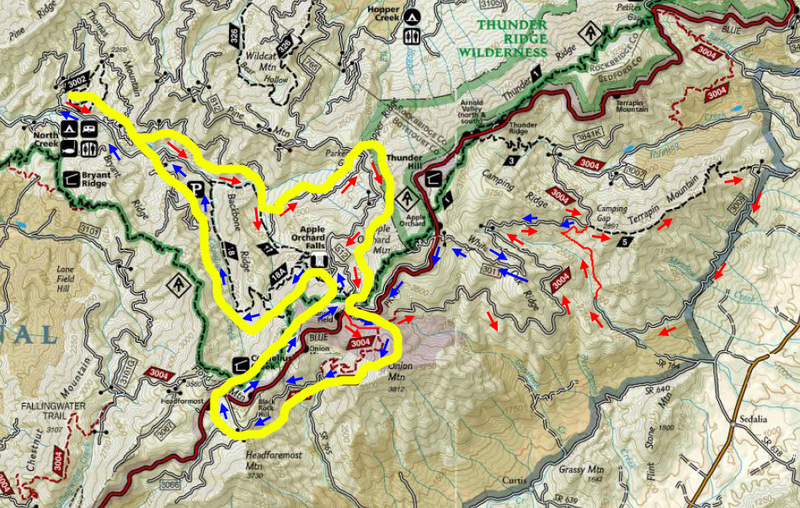 I think very skilled back country rock riders could ride virtually all of this very technical descent. Classic. Trail dumps onto open road. You'll pick up a lot of speed and be having a blast. Keep your eyes peeled for trail 3009 on right, it's easy to blow by. If you reach a gate you've gone too far - trail is BEFORE gate. 3009 is a nice rolling contour trail around the base of Terrapin, beautiful with easily rideable stream crossings, until you reach the one before the gate. You can stay dry while crossing this one by walking from rock to rock. Go thru gate and turn right to climb along creek on fire road. Eventually arrive at a brisk creek that's wide (maybe 30 feet on 3/3/2013) and 1/2 wheel deep but rideable. You can walk across and stay dry on the left but it's a little tricky. After creek turn right onto trail, climbing, climbing, and then climbing. After a couple miles, a hard switchback right will appear. Take that, bringing you back to Camping Gap just feet from the Terrapin Mt trail from earlier. Take left back up dirt road 3004. Go through gate. Shortly thereafter spot fire road on right, White Oak Ridge 3011. 3011 will present a right turn option shortly thereafter. Stay left. Proceed upwards for about 2 miles, eventually arriving at BRP across from giant golf ball radar dome. Left on BRP to Sunset Field fire road on left, ridden earlier. This time, exit field to right, SW, on Onion Mt section of the horse trail. Trail will climb sharply at first. Stay alert for hard right turn once climbing eases. Trail is marked. Take rough singletrack about a mile to Overstreet road and falls. Take right, upwards, on Overstreet dirt road. Go 1.4 miles to BRP, mostly steep climbing. Take a right, north, on BRP, 2 miles back to Sunset Field overlook on left. 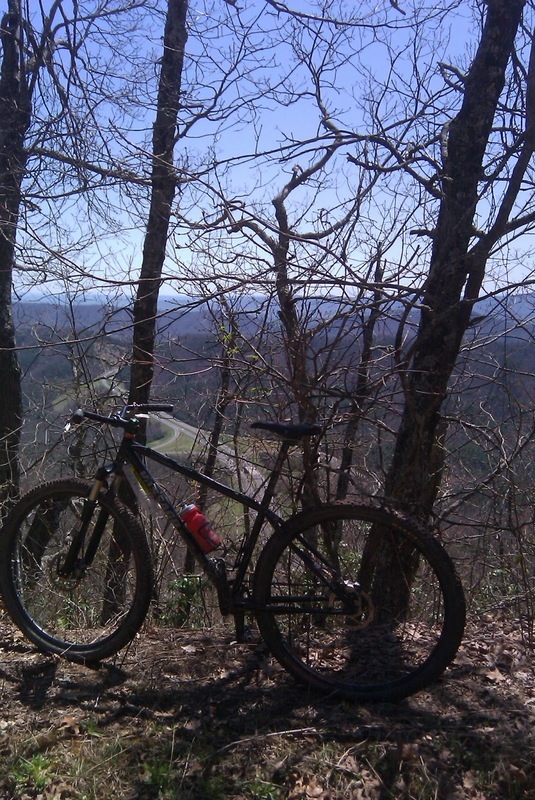 Take Apple Orchard Falls trail from overlook down sweet, tech singletrack. Upon arriving at open fire road, take a left. Fire road descends for a bit, climbing abruptly near the end. Stay straight at top of steep climb onto Cornelius Creek Trail. Awesome, you are almost done! Go 2 miles down Cornelius Creek trail, eventually arriving back at North Creek road. Go down North Creek Road to bridge. Done. 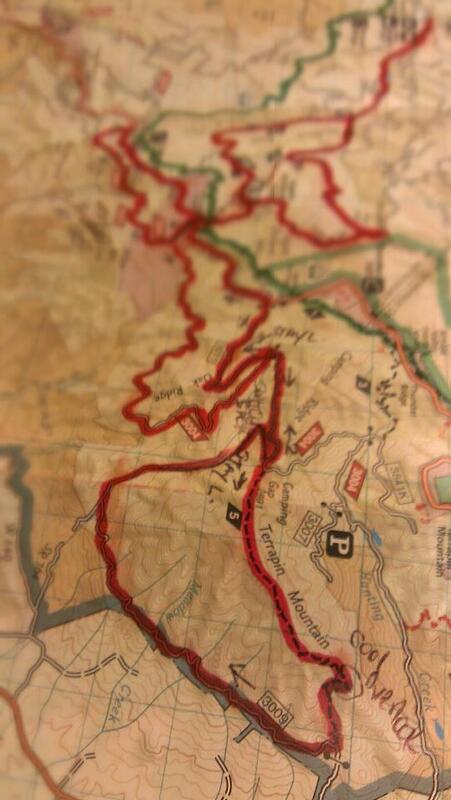 If you print the TripTik and the above map you have a good chance of staying on course. view from Big Walker Mtn. over I77 tunnel thru the mountain! This route has been one that I have dreamed of for many, many years. I would say well over 10 years! What has made this route impassable previously was the trail overgrowth of the Big Walker Mountain Trail - aka Monster Rock. Many folks chipped in with clean up, but probably greater than 80% of this trail was hand cleared by two brothers, Bill and Dave (aka Red). These guys dedicated so much time to clearing this AMAZING ridge trail. So, when I heard that it was cleared I knew we had to go do this fatty! and of course give them some creds even though they probably don't want it, just want people to come ride! Summary: We will be riding from the campground towards Crawfish Valley, climbing Big Walker and traversing the full ridge. This will put us out at Rt. 52 at the Bik Walker Lookout and a fine location for some fantastic sweets, breads and other treats. 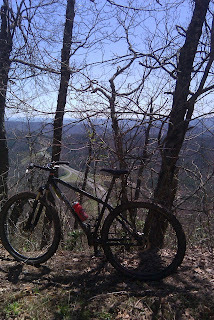 From there we continue on dirt across the ridge and over I77 tunnel to Turkey trail (hold on tight!). 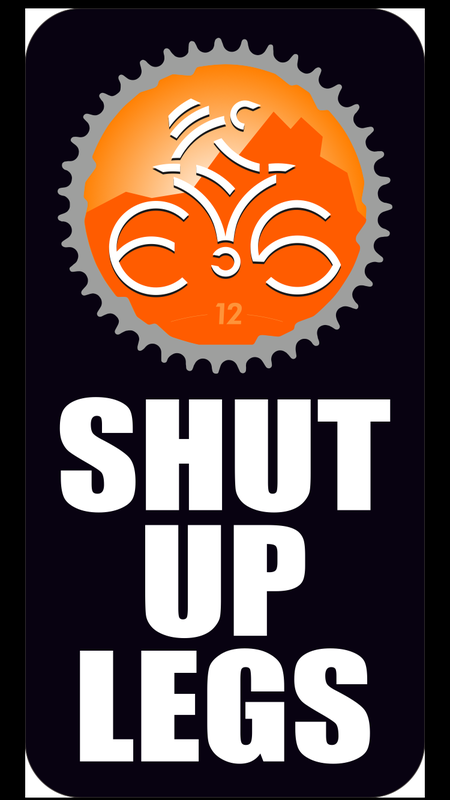 Back to SR 717 (same road campground is on) turn right and roll a few miles of pave to the start of the Seven Sisters grand finale! So I hope anyone out there is not disappointed that the Linger Not Mtb. 100 has been changed to this excellent route. This route has been one that I have dreamed of for many, many years. I would say well over 10 years! What has made this route impassable previously was the trail overgrowth of the Big Walker Mountain Trail - aka Monster Rock. Many folks chipped in with clean up, but probably greater than 80% of this trail was hand cleared by two brothers, Bill and Dave (aka Red). These guys dedicated so much time to clearing this AMAZING ridge trail. So, when I heard that it was cleared I knew we had to go do this fatty! and of course give them some creds even though they probably don't want it, just want people to come ride! Starting location directions: The ride will start and finish at the Stony Fork Campground in Wythe County. The website link below will get you there. We will be riding from the campground towards Crawfish Valley, climbing Big Walker and traversing the full ridge. This will put us out at Rt. 52 at the Bik Walker Lookout and a fine location for some fantastic sweets, breads and other treats. From there we continue on dirt across the ridge and over I77 tunnel to Turkey trail (hold on tight!). 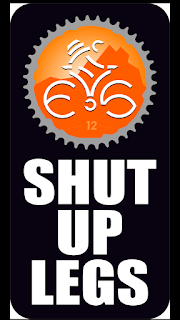 Back to SR 717 (same road campground is on) turn right and roll a few miles of pave to the start of the Seven Sisters grand finale! These kits are incredibly sharp looking, and we're putting together a quick order to be sure these are in-hand for those who want to wear their new kit in the SM100! 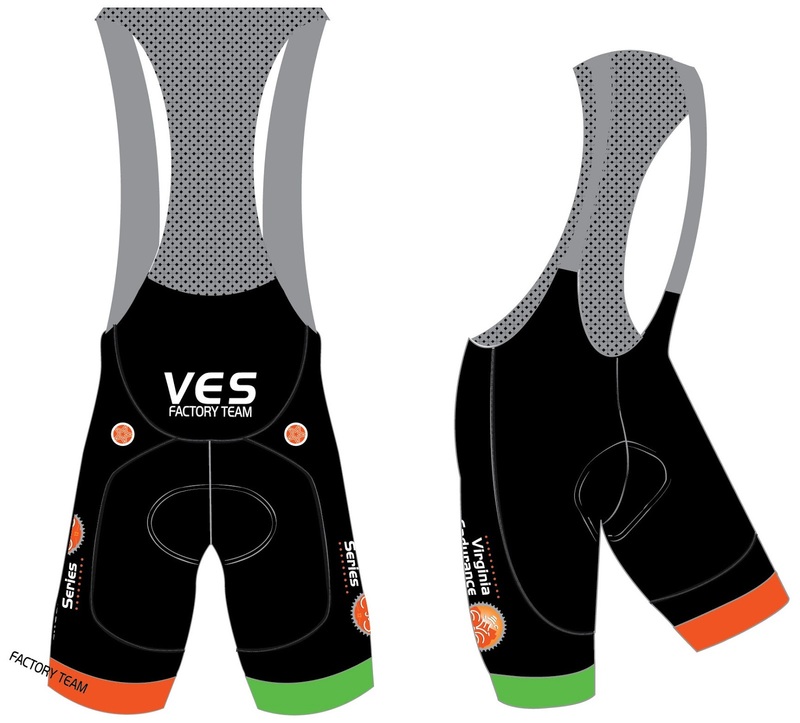 $75 for the Pro+ Bibs or Shorts, with the most comfortable long-ride chamois I've ever worn! Message me robertissem@gmail.com with your sizes and Starlight Custom Cycling Apparel​ will get you a kit by or before the beginning of September! What is the Virginia Endurance Series?